Boy, these are good! They’re easy to make and perfect for a 4th of July party. 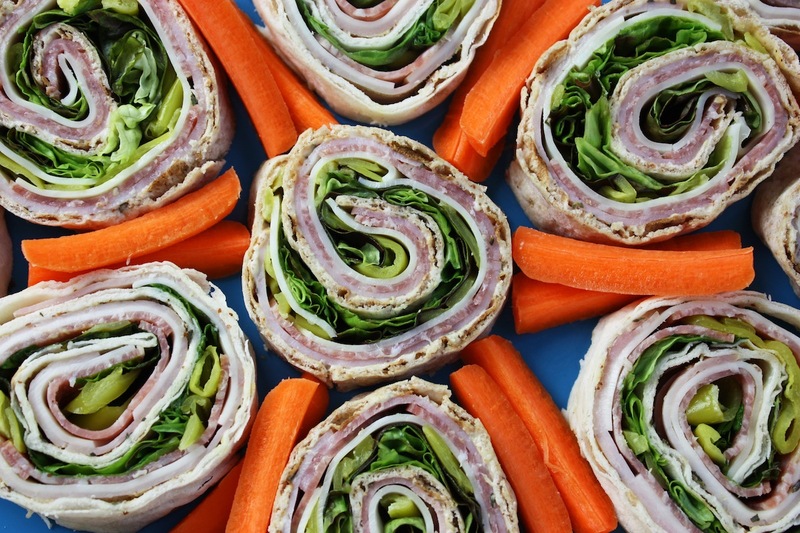 I’m sharing this idea for the upcoming holiday weekend because I made these Italian sub pinwheels sandwiches for a party once they were a huge hit. But this was a hard recipe to write up because I know everyone will be using different products, depending where they live and what their stores carry. But I did my best. About the bread: Lavash is perfect for pinwheels because it’s rectangular and easy to roll to get even sandwiches. I used both whole grain lavash and white lavash in this photo but whole grain is my first choice to make these little gems as healthy as possible. I’ve seen lavash in two sizes, 8 by 10 and 9 by 12. If your store doesn’t sell it you can usually find it in a mediterranean or Armenian grocery store. But you can always use large flour tortillas as well. About the filling: My Italian sub pinwheel is made with some traditional sub fillings like ham, salami, and cheese. But you can make this healthier by choosing nitrate-free ham and salami (I use Applegate brand ham) and I use ultra-thin sliced cheese. Mozzarella is my choice but provolone is also good here. Even the meats should be sliced as thinly as possible for easier rolling. My Italian seasoning blend (Spice Hunter brand) is a combination of basil, rosemary, marjoram, thyme, sage, and oregano. If you don’t have a blend, you can use oregano. 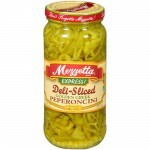 Peperoncini is key to making these taste just like an Italian sub. You can buy them in a jar already sliced. Oh, and use lots of lettuce. It looks pretty and it’s a healthy green. About serving: These sandwiches must be made ahead of time, preferably overnight, but at least three hours in advance to give them a chance to hold together and for the bread to moisten. It’s important to roll them up slowly, as tightly as you can, and wrap each roll (you ARE making more than one, right?) in foil and refrigerate. When it’s time to serve, use a sharp serrated knife to cut a little off the ends and then slice the roll into 3/4-inch sandwiches. Place them on your serving plate and keep them covered with plastic as long as you can because they will dry out if left uncovered. But they don’t usually stay around that long. 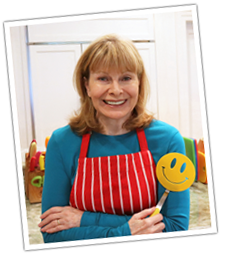 I always serve them with some vegetables – either carrots sticks, cucumbers, or just a plate of crudite. ~Turkey and swiss with mayo, mustard, and baby spinach. ~Roast beef with spicy horseradish mustard and lettuce. ~Ham & cheese with cream cheese spread and lettuce. ~Roasted and cooled veggies (peppers, zucchini, onions) with a hummus spread & baby kale. ~Chicken-pesto: Pesto spread (my spinach pesto recipe) with sliced chicken, mozzarella & baby spinach. ~Spicy: Cream cheese mixed with canned “hot” diced green chiles, sliced chicken breast, & lettuce. 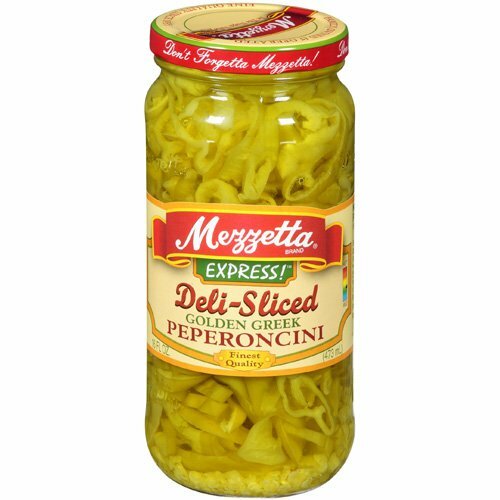 ~There are endless variations: add finely sliced onion, olives, pickles, roasted red peppers, shredded carrots, etc., etc., etc. 6 Comments on "Italian Pinwheels"
I hesitate to say the meat loaf can be made into meatballs since it’s such a soft mixture. I would stick with a specific meatball recipe. Living in rural Wisconsin there is no Lavash, any chance you could come up with a recipe to make and bake it at home? I wish you would do more videos! !